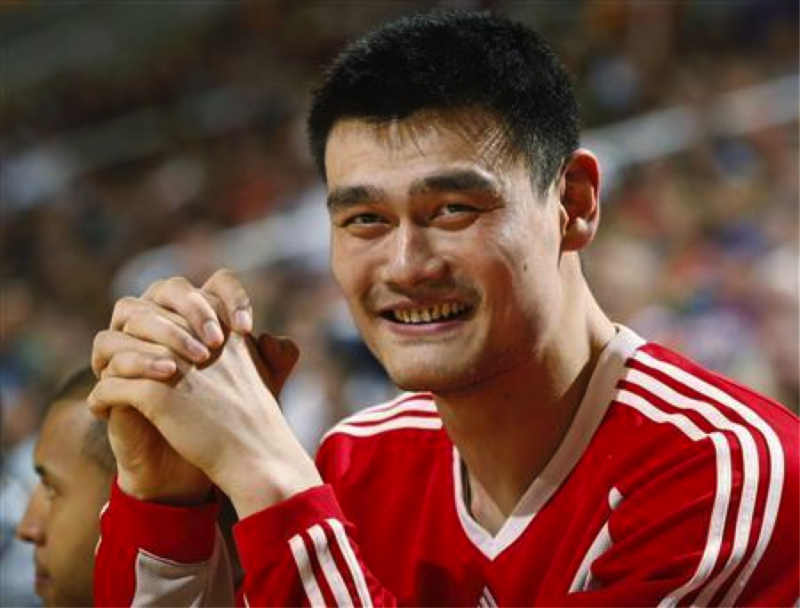 Among the instructors for the Basketball Without Borders camp for top global teen players to be staged over the NBA All-Star weekend, will be retired Chinese NBA icon Yao Ming. 43 boys and 10 girls representing 27 nations will be traveling to Toronto for the February 12-14th camp at Mattamy Athletic Centre. Leading players from the Eastern and Western conferences will be meeting February 14th in the 65th annual NBA All-Star Game. BWB has staged 44 camps in 25 cities in 21 nations on five continents and reached more than 2,400 youth from 130 nations since 2001 with 37 campers having been drafted by NBA clubs and 21 of them in the NBA at the start of this season. Other instructors at the clinic will include Venezuelan guard Greivis Vasquez of the Milwaukee Bucks, Italian forward Danilo Gallinari of the Denver Nuggets and Democratic Republic of Congo center Bismack Biyombo of the Toronto Raptors. The 7 foot 6 inch center from Shanghai, China was a first pick in the 2002 NBA Draft by the Houston Rockets after spending five seasons in China. He became the first major Asian star in the NBA. He averaged 19.0 points, 9.2 rebounds, 1.9 blocked shots and 1.6 assists a game for the Rockets over his 486-game NBA career. His career came to an early end in July of 2011 after a stress fracture in his ankle. 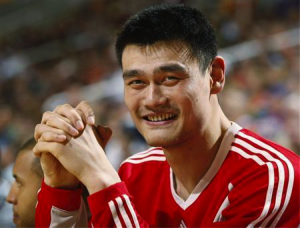 Yao will play a key role in helping these teen players to improve movement efficiency, positional skills and shooting, play games and attend seminars on health, leadership and communication. NBA vice president of international basketball operations Brooks Meek says, “Borders Global Camp is a great opportunity for these boys and girls to learn directly from players and coaches,” The BWB program continues to teach values like leadership, teamwork and respect that have application on and off the court. If you know of a program, group, or company that is interested in finding out availability and booking fees for a former NBA All-Star players like Yao Ming or other sports celebrities for Sports Camps, Keynote Speeches, Fundraising Events, Guest Appearances, call us at 1-888-246-7141.